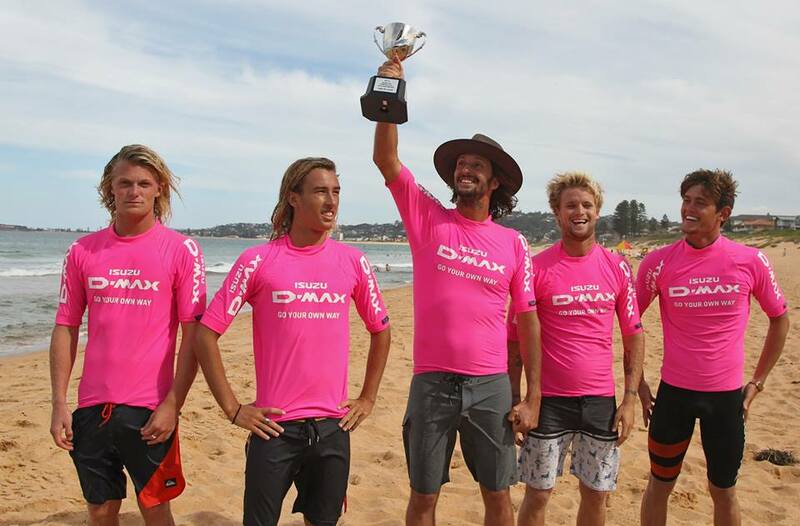 North Narrabeen Boardriders have won the Isuzu D-MAX Surftag Australian Championships dominating the four-team final on their home break. Mid way thru the sixty minute final North Narrabeen had scored double their closest rival Coffs Harbour and never looked like being beaten. Davey Cathels – 22.43, Cooper Chapman – 19.73, Nathan Webster – 26.67, Jordy Lawler – 25.00 and Kai Warner – 7.50 secured North Narrabeen’s sixth Surftag Australian Title cementing them as the most successful Boardriding Club in Surftag history. North Narrabeen posted 101.33 in the final followed by Coffs Harbour – 66.47, Bondi – 55.73 and Avoca 53.10. In the battle for second place Avoca’s Dane Atcheson and Bondi’s Clancy Dawson incurred a double interference losing seven points from their teams total for colliding into each other when taking off on a wave giving Coffs Harbour the advantage for second place. Shaun Cansdell was Coffs Harbour’s best throughout the championships averaging 5.60 on all his waves ridden, which was the third best average overall. Lee Winkler was also a standout for Coffs Harbour with Winkler surfing fifth bringing the team home strong in all their heats. Bondi survived some close heats leading into the final beating Queenscliff in the Semi Final by 3.44 as well as finishing on top of arch rivals Bronte by 1.47 in their Quarter Final match up. Team captain Perth Standlick made special mention of new team member Sage Gubbay who performed under pressure at the back end of each heat. Standlick was Bondi’s best averaging 5.47 on all his rides, which was the fifth best average of the event. Avoca proved to be the surprise packet of the event finishing in fourth place. Avoca beat North Avalon and defending Surftag Australian Champions DBAH Boardriders in Semi Final No.1 as well as easily defeating Long Reef in the Quarter Finals. Mick Bain was solid as first surfer for Avoca with Dane Atcheson scoring big before his double interference in the final. Defending Surftag Australian Champions DBAH Boardriders looked like one of the teams to beat in the earlier rounds but came unstuck in Semi Final No.1 going down to North Narrabeen, Avoca and North Avalon. John Cummings and Dean Morrison had posted big scores leading into the Semi’s but fell victim to a slow start having to playing catch up for most of their Semi Final. It was all smiles for DBAH’S Women’s team winning the Isuzu D-MAX Surftag Women’s Australian Championships with 14-year-old Alyssa Lock scoring a massive 29.63 in the Women’s Final. Lock’s score was the fourth highest total of both the Men and Women’s divisions that was posted in chunky five-foot conditions. Lock joined two sets of twins in the DBAH team, Audrey and Grace Styman-Lane and Brodie and Amiya Doyle who scored a team total of 84.27. Defending Surftag Women’s Champions North Narrabeen finished in second place with 69.93 followed by North Shelly - 59.70 and Queenscliff – 30.07. 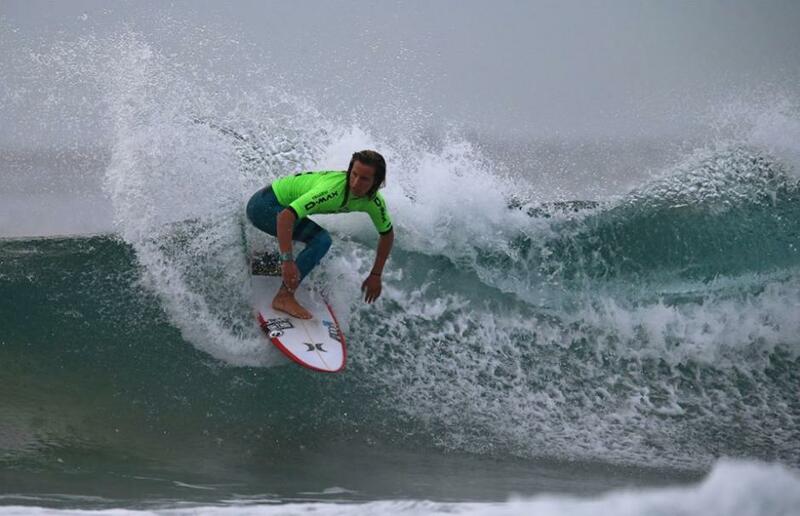 North Narrabeen’s Nathan Webster won the Rhondda Harrison Surfer of the Event Award averaging 5.93 on all his waves ridden throughout the event. Webster’s teammate Cooper Chapman was a close runner up with an average of 5.77. Isuzu D-MAX and Swellnet proudly support the 2015 Isuzu D-MAX Surftag Australian Championships.